Discover the Order of the Augustinian Recollects, its origins and charism. The Augustinian Recollects are a religious order composed of approximately 1200 religious who, living the fraternal life in community, desire to follow Christ, chaste, poor and obedient. They search for the truth and serve the Church while seeking to grow in charity according to the charism of St. Augustine and the particular emphasis of the Recollection, a movement of interiority and evangelical intensity. The Order came into being in the 16th century when a group of Augustinian religious, under the impulse of the Holy Spirit, discovered among themselves a collective charism by which they sought to live a life of renewed fervour and of new norms at the service of the Church. The Chapter of the Province of Castile celebrated in Toledo, Spain, in the year 1588, determined that in certain houses of the province, this new manner of life would be lived. Within a few years of the initiation of the Recollection, in 1605, the number of these religious departed on their first missionary expedition to the Philippines. The Augustinian Recollects of today are heirs to a form of life first initiated by St. Augustine (354-430) and revised in the 13th century with a mendicant style by the Order of St. Augustine in the Great Union of 1256. After more than three centuries of existence, the Recollects were recognized by the Church as an autonomous religious order. The corporate style of the Recollects is that which is proper to a religious order born as a result of the inspiration of the Holy Spirit and approved by the Church. The religious live in a fraternal community in which they desire to follow Christ, chaste, poor and obedient. They search for the truth and serve the Church. They seek the perfection of charity following the charism of St. Augustine and the spirit of the Recollection. The charism is an experience of the Holy Spirit which implies a specific way of life, a specific mission and spirituality, a style of fraternal living, and a readiness to serve in the mission of the Church. The Augustinian charism proposes the love of God without conditions, a love which unifies the hearts and souls of the brothers in a communal life style and which proposes to unite all mankind in Christ within the Church. By faithfully living their charism, the Recollects seek to transmit to others that vitality which flows from the Holy Spirit and which is constantly renewed by a permanent process of formation in order to be readily available for service to the Church. The spiritual patrimony of the Order includes the doctrine and “Rule of St. Augustine”, the “Forma de vivir” from the beginnings of the Recollection and the witness to holiness of so many brothers who, faithful to the Spirit, have given their lives to its history. The Constitutions are an expression of the charism of the Order and provide for a way of life faithful to the following of Christ in harmony with the vocation of an Augustinian Recollect. The three constitutive elements of the charism are summarized in the Constitutions as contemplative love, orderly love of community, and the diffusive love of the apostolate. 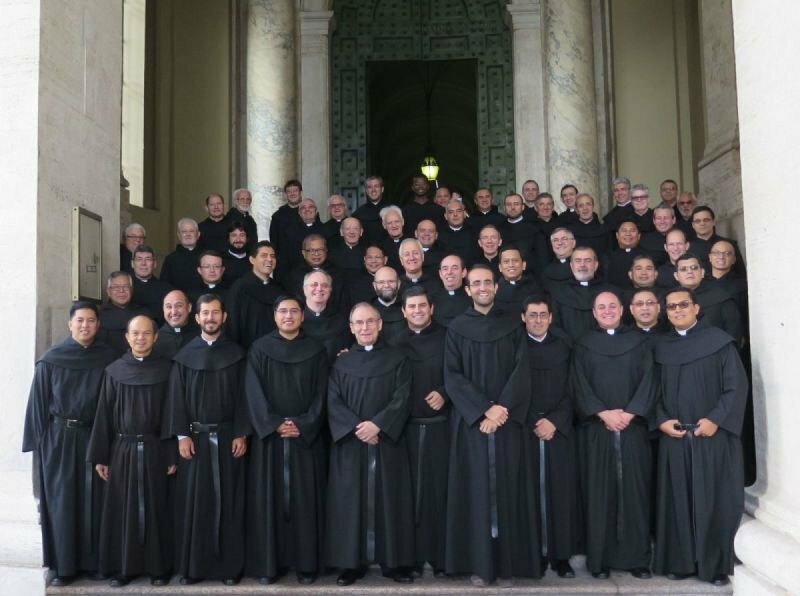 The Order consists of religious priests and brothers who, together, live their vocation, share fraternal life in community, and dedicate themselves to the mission they exercise.